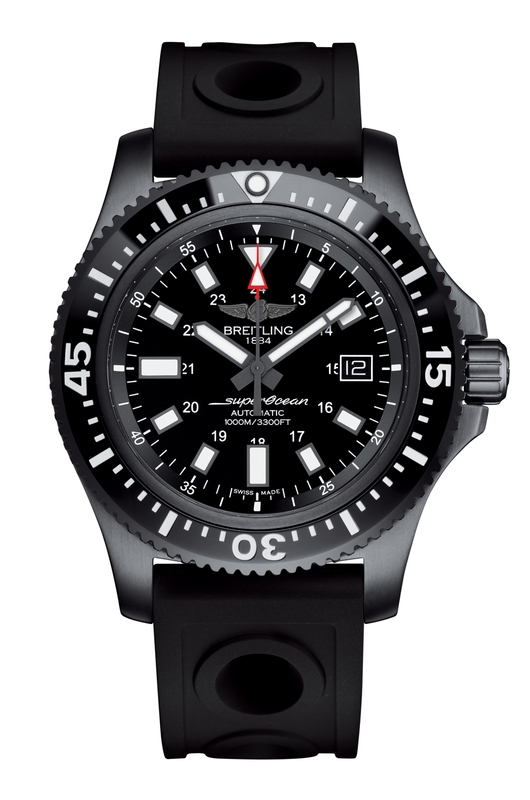 Breitling recently launched its second ceramic bezel model Superocean 44 Special. 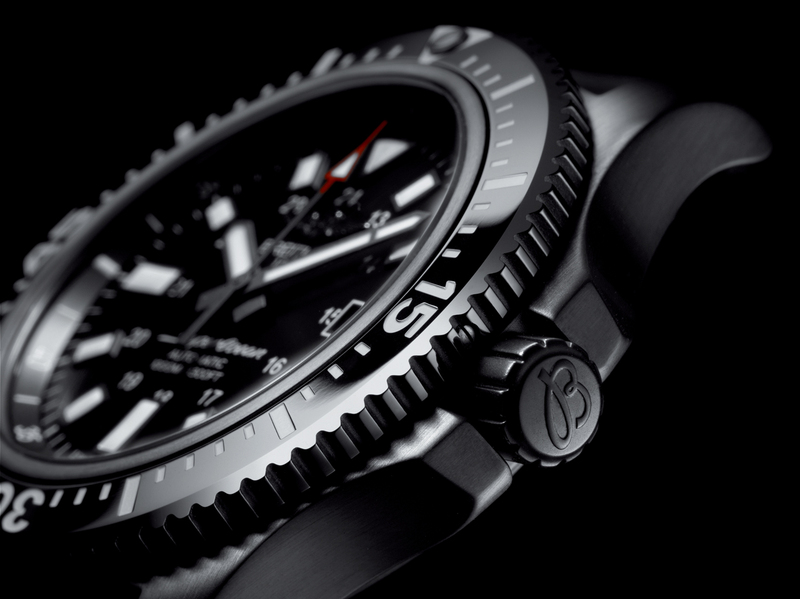 44mm case is made of Breitling’s blackened stainless steel. The bezel is made of fine ceramics which is known to be virtually scratch proof. The case sports a Helium Release Valve to ensure the WR100M rating and a sapphire crystal on the front with AR coating on both sides. The indices and the hands over the matt black dial employ SuperLuminova for enhanced night time visibility. The dial features the date display window at 3 o’clock position which is also the only extra function of the timepiece. 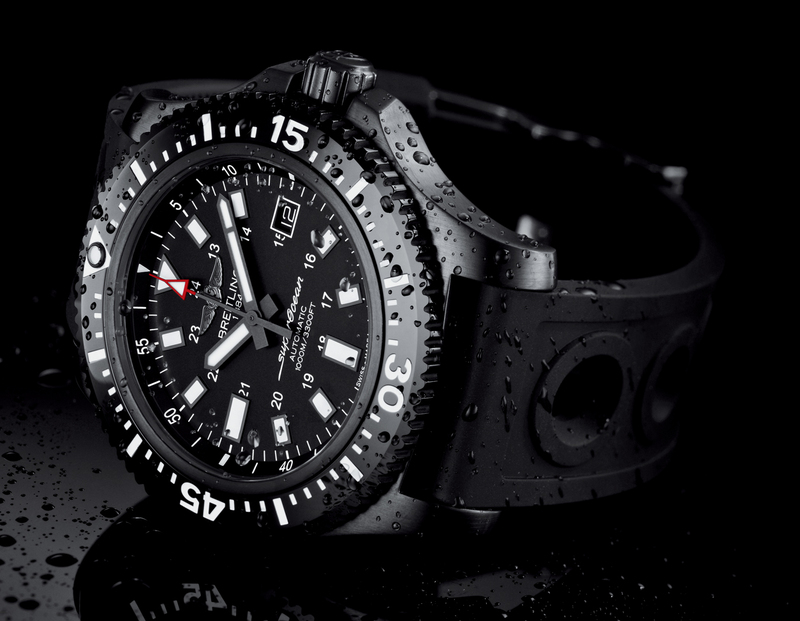 Superocean 44 Special is powered by the ETA based automatic movement Breitling Caliber 17. 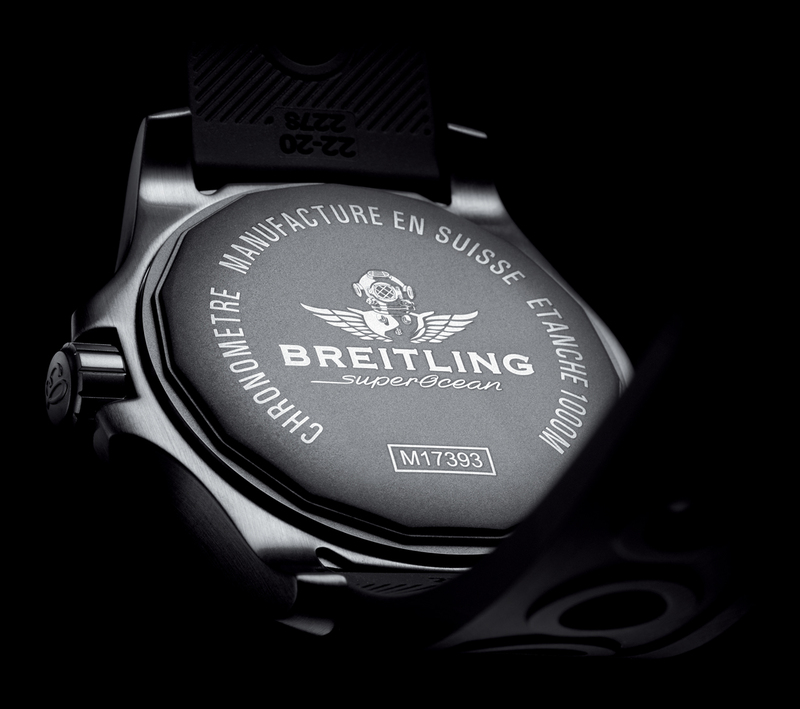 The movement boosts a power reserve of 42h when fully wound and comes with a COSC certificate. 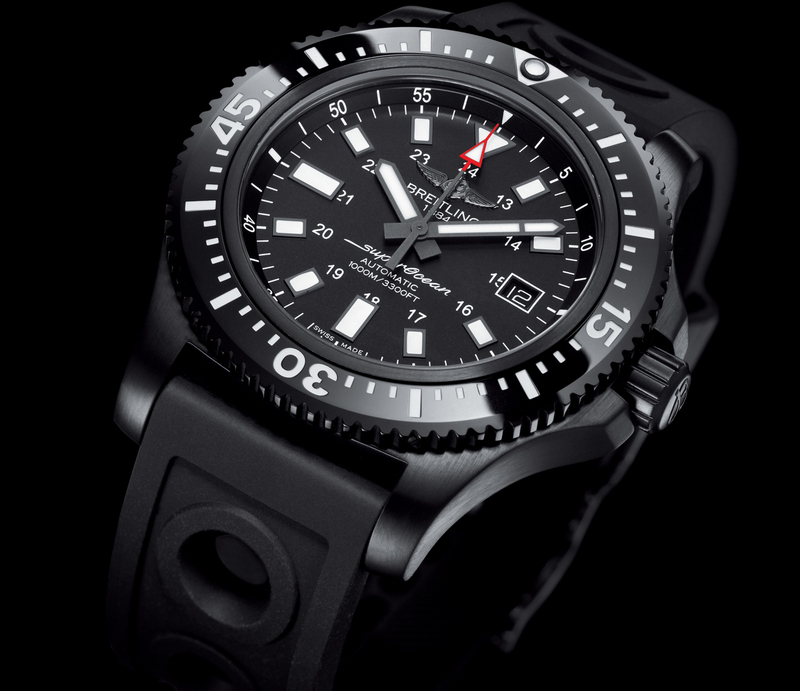 The watch is offered on Ocean Racer bracelet or Diver Pro black rubber strap.